When William Carroll's mother was jailed as a vagrant, she had two children, William and his brother that she couldn’t care for so those children were taken from her. 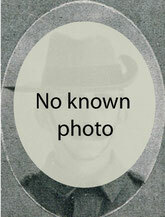 He was sent with his older brother to Nudgee Orphanage Brisbane. Even after she got out of jail it seems she never went looking for them. 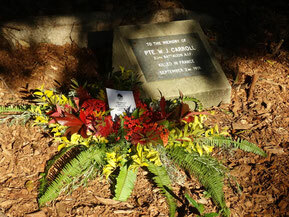 When Carroll enlisted on 14 April 1917 he had been a labourer in Eumundi for widow Mrs Burke on her property Hazelwood for many years. He set sail for the war on board the HMAT A20 Hororata on 4 June, 1917 at the age of 22 and served on the Western Front before he was killed in action on 2 September 1918 in the battle of Mount St Quentin and buried at the Peronne Communal Cemetery, France.